Transport Minister Norman Baker advises that people can save money by planning ahead and adjusting their driving this summer. Sensible forethought and improved driving techniques could save as much as £10 on a 500-mile holiday trip. First of all, check your tyre pressures. Not only are underinflated tyres dangerous, but they also increase fuel consumption. 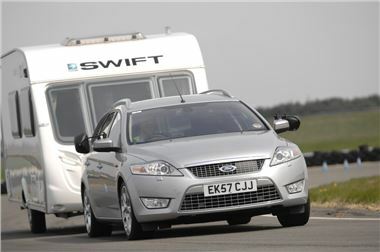 It’s especially important to ensure your pressures are correct for any increased weight you might be carrying, for example if you’re going on a camping trip or towing a trailer. It’s also wise to watch your speed. Travelling at higher speeds uses more fuel than travelling at lower speeds – at 85mph cars burn 25% more fuel than at 70mph. So allow plenty of time for your journey and take it easy. Travelling when traffic is light is also sensible. Not only is heavy traffic infuriating but the constant slowing and accelerating increases fuel consumption. Travelling at a steady speed is the best way to maximise fuel efficiency.